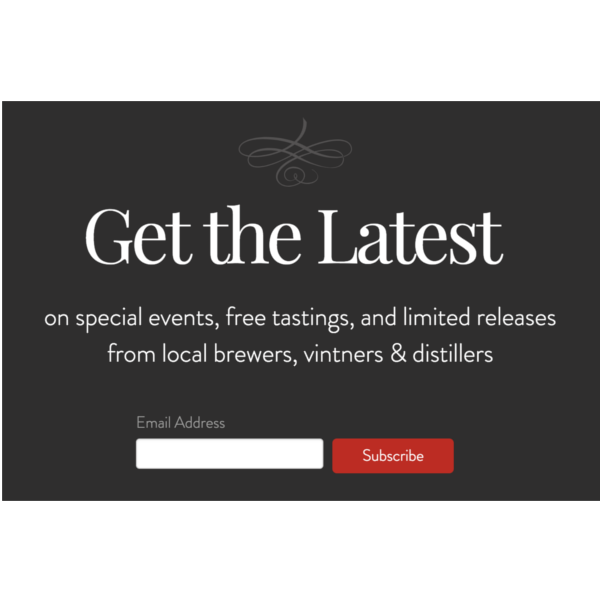 An easy, deep Mailchimp integration for Wix websites is our main goal. We try and support as many Mailchimp features and use cases as possible, so you can have exactly what you need for your website. We are always working to upgrade our app. 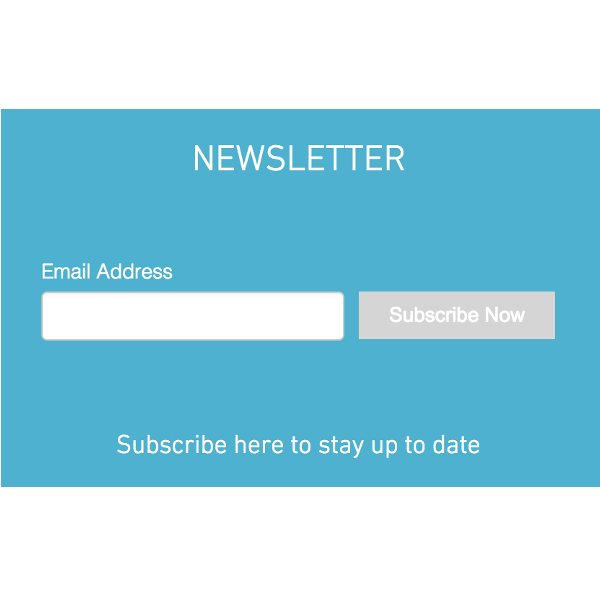 We provide a fully customizable form and a user friendly interface to help you grow your mailing lists. Our beautiful form allows you to match your website design and increase conversion rates. We keep our app easy to use. You do not need any special skills to use our app, start collecting new leads on your website within minutes. 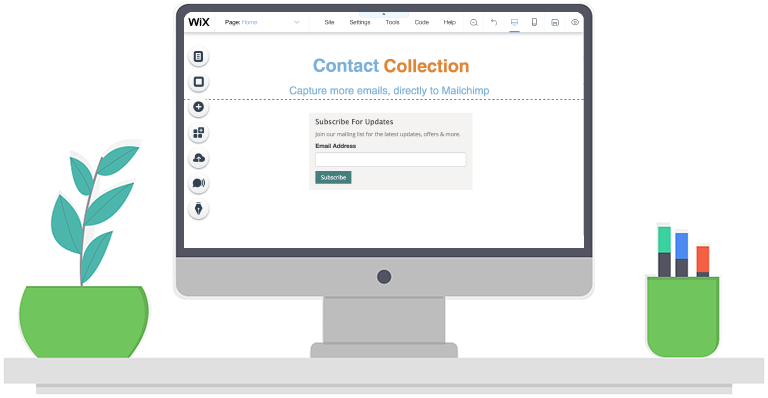 Just add the app to your Wix website and start growing your mailing list. As mobile traffic increases each and every year, it is important to make sure your website is optimized for mobile. 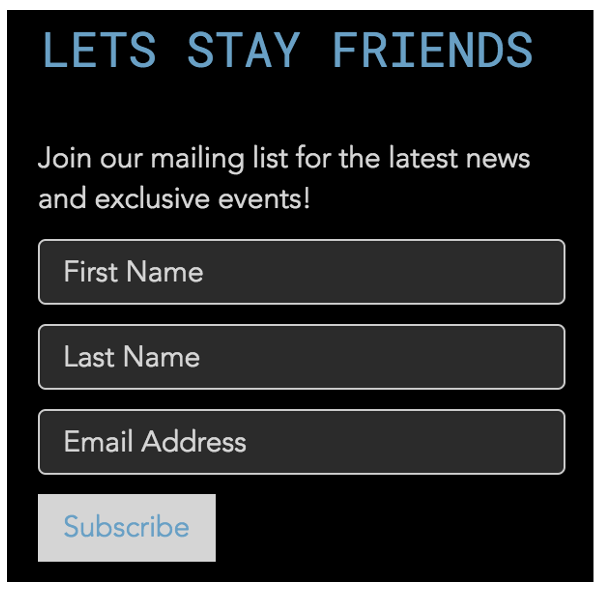 Contact Collection is completely optimzed, responsive and will look great on your mobile site. 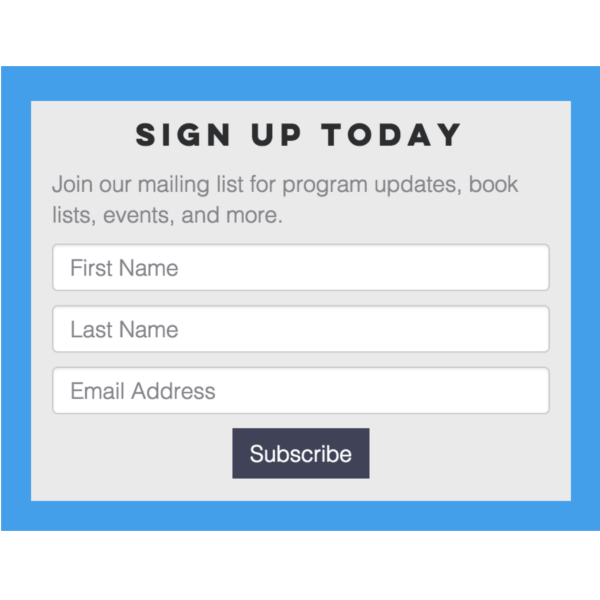 Easily customize your layout, design & more to help grow your mailing lists. Our customization options allow you to edit all texts in the form. 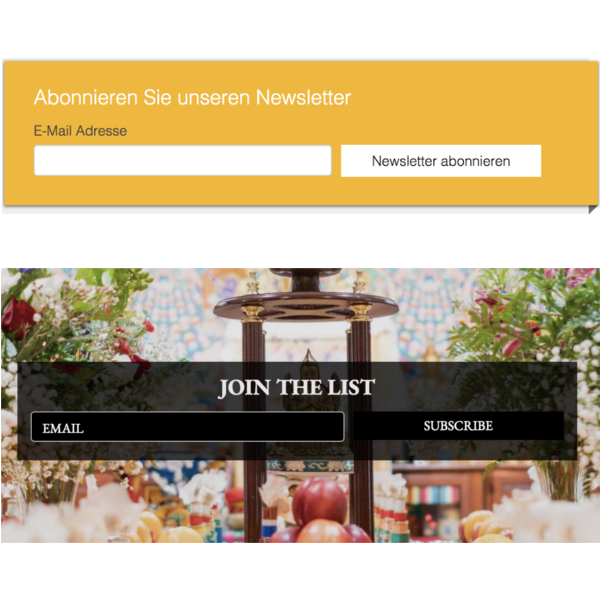 Add multiple forms to your site, you can even direct each form to a different Mailchimp list. Different implementations by Wix website owners. 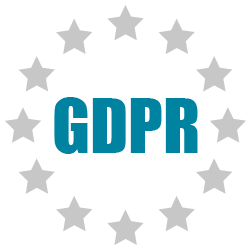 We also use this app for collecting email subscribers to our MailChimp account. Works flawlessly and I love receiving a note when someone new subscribes. Also, I had a suggestion so I emailed the company and received very prompt and personalized service. A company that is that responsive gains my respect and loyalty! Great app, solved my problem of collecting email subscribers to our Mailchimp account. I am techno challenged and this app was easy to use and really like my results. Great and simple app! 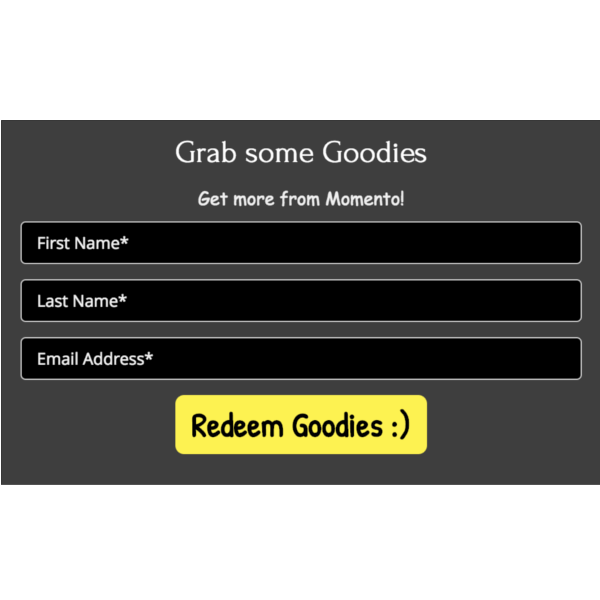 Makes life easy for collecting email subscribers for mailchimp users! Questions? Need help? We would love to hear from you. Message us any time. 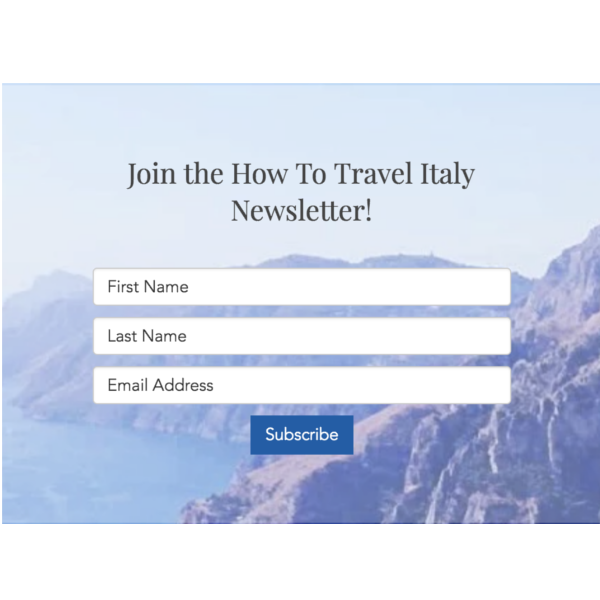 Providing an easy Mailchimp integration for Wix websites, a fully customizable form and a beautiful interface to help you grow your mailing lists.